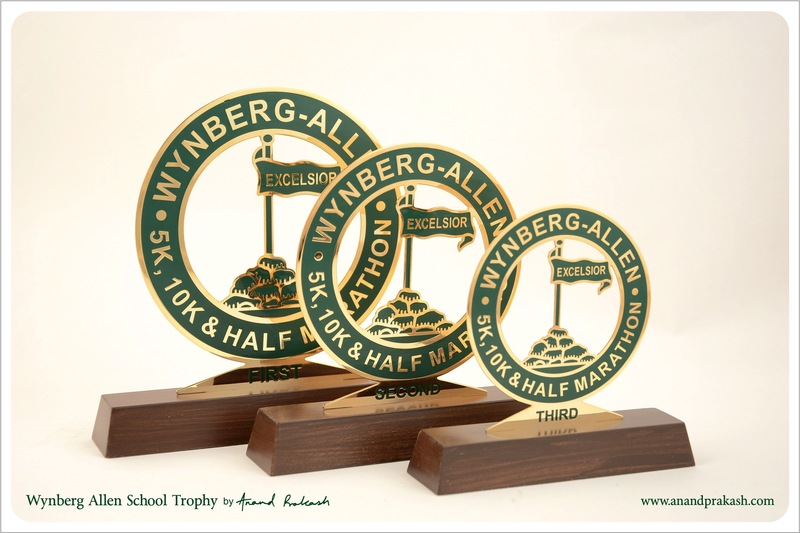 Trophy for my alma-mater Wynberg Allen school and for the joy of running. In school I was ok in a few sports, the marathon was one where I once won a bronze medal. I represented school in the inter school marathon, this gave me an opportunity and permission to only practice running in the evenings while everyone else was busy in other seasonal sports, sometimes we ran till the Woodstock diversion, sometimes till the Mussoorie Jheel and sometimes in pouring rain. I once was so tired that I got back on a water tanker. While the interest in cross-country lasted a year or so, I later lost touch and drifted to other sports like roller hockey. In Delhi, last year I got back to running after a hiatus of 20 years, I was overweight and I started with walking, in a month or so I gradually moved to running, I did 15 kms and felt the same rush of adrenaline like old times. I may not be the best but I will always complete the race; something that has been ingrained since childhood. Good luck to all the runners participating in the WAS half marathon. This entry was posted in Whats New and tagged Anand Prakash, award, Customised Prize, Half Marathon, Trophy, Wynberg Allen School. Bookmark the permalink.